The union territory is located at a distance of 1190 km from Chennai. Port Blair is the capital of Andaman. In all, the Andaman & Nicobar Islands comprise of as many as 572 islands. Of these only 36 are inhabited. The islands were formed by a sub-ocean mountain range which separates the Bay of Bengal from the Andaman Seas. Life is easy going, people here are friendly and it is one of the best places in the world to enjoy some diving, explore the islands, relax and unwind on the beach. An Andaman holiday package will offer several water sports including Scuba Diving and snorkeling, speed boating, Jet-ski etc. 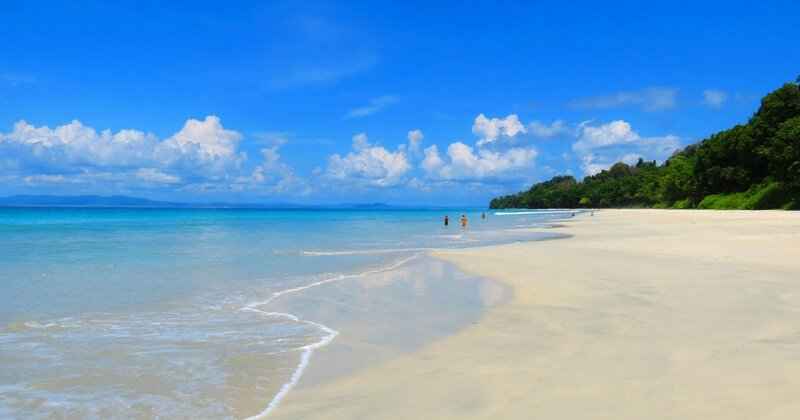 Andaman is best experienced through a tour to the many islands – where breathtaking views of the sea await your eyes. A few days here will revitalize you and take away the weariness of the fast paced city life. An Andaman tour package will be the perfect vacation for those looking for a break from monotony and pollution of the city. One of the biggest draws of Andaman & Nicobar Islands is that it is a haven for those who like water sports like scuba diving & snorkeling. Despite being a well-known tourist destination for years now, the Andaman & Nicobar Islands remains an unexplored treat for couples, adventure sport junkies and anyone who likes to experience the infinite beauty of pristine beaches. The beaches offers calm blue crystal clear shallow waters and is an amazing spot for snorkelers. The reefs are in pristine condition and with little exploration you can find corals in the same way they were formed. It is recommended that you either charter a boat, join groups or trek to reach Elephant Beach – one of the best places to see in Andaman. Guides will assist you during your trip to the Elephant Beach. This is the second best attraction at Havelock Island after Radhanagar Beach. You are allowed to carry your own snorkeling equipment here too. At Jolly Buoy Island you can see red, blue, sponge corals and more! You can also see life within these corals, like zebra fish. Other snorkeling destinations include Neil Island, Cinque Island, Rutland Island and many more, if you ask around. The Red Skin Island is open for 6 months alternatively for tourists. The best time to visit these islands is usually from November – April for Jolly Bouy Island and from May – October for Red Skin Island.